Mandarano Balsamic of Modena – Premium Aged Authentic. All Natural. Mandarano TABLE – Aged 3 yrs – Lite & fresh, use it everyday! It's sure to be your Table's staple! The ultimate finishing touch to any culinary delight. Mandarano BALSAMIC GLAZE & SAUCE – Aged 5 yrs. Add a drip or drizzle before serving – the possibilities are endless! Mandarano Balsamic of Modena – grown, harvested, aged & bottled on site. A proprietary blend of eight varieties of premium grapes grown entirely in the region of Modena, Italy. Aged in the centuries-old tradition using precious seasoned wood barrels, our Balsamics are produced in small batches under the care of skilled craftsmen in the Family's 120 yr old Acetaia. Our Balsamics are truly Premium-Aged-Authentic & carry the IGP Certification (Protected Geographical Indication Product). It is such a pleasure to bring real premium traditionally aged Balsamic Vinegar of Modena to the US market. This precious commodity has been revered for centuries in Italy, but is not widely understood in the US. My mission is to help educate . Be sure to try all three of our Balsamics – each one is unique. The TABLE is perfect for every day paired with your favorite olive oil in dressings or dips – perfect for marinades. Sparingly used, a few drops or light drizzle of the GOLD is the perfect finish to any sweet or savory dish. Our legendary GLAZE & SAUCE is so versatile it enhances the flavor and appearance of just about every dish! And - don't forget about our special Gift Set! I've started using it in everything I cook - chicken, tofu, baked potatoes, steak, etc. The sauce is absolutely delicious.... everyone who tries it goes away happy. 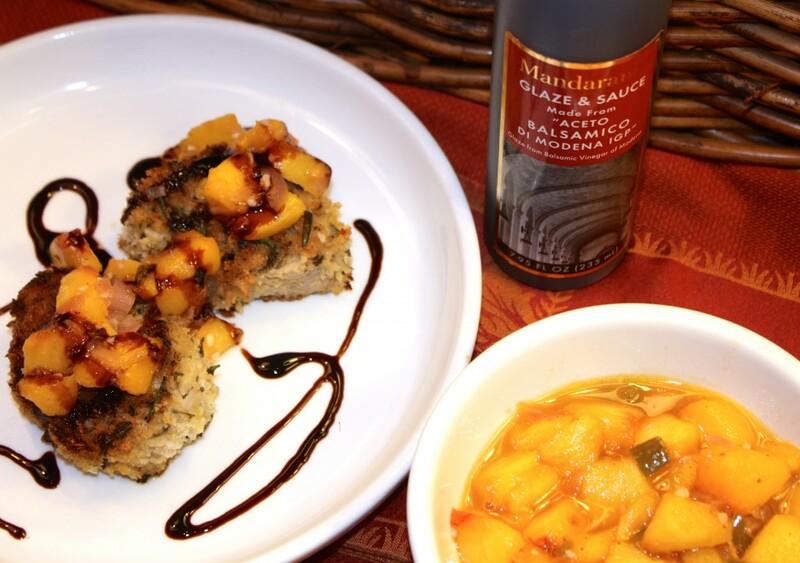 We love your Mandarano Balsamic Glaze so much, it is incredible. I could drink it. We have tried it on absolutely everything. My husband loves it too, but I am truly addicted. We are starting to take it out when we go out to eat. What can I say, it is the best! Loving the Balsamic Glaze and have shared it at dinner gatherings with lots of lip-smacking smiles of gastronomic appreciation! This stuff is yummy! Absolutely would recommend it to anyone. I use it over a mixture of quinoa, roasted strawberries, and homemade creme freche and it is delicious! This is such a wonderful product! Our family and guests just love it. This is my second case! Thank you! Your glaze is far superior than any other we have tried. I am so THRILLED with the glaze. It has become a staple in the pantry. I expect a long and tasty relationship with you. Bought a bottle from a local restaurant - best Balsamic we have found. I played around with different foods and made a couple of appetizers with it, but decided to share a main dish, Pork Medallions and Peach Chutney topped with Mandarano Balsamic Glaze & Sauce. Sounds kind of fancy, right? Don’t let the title intimidate you. This dish is lovely to share with guests, and also simple to make for your family during a busy week. The following recipe comes courtesy of Nicole from MyLoveForCooking.com. We highly suggest you follow Nicole and read her blog. She is an amazingly creative cook with a great eye for photography! This is a far reaching idea I know. I was approached by Mandarano to try out their Balsamic Glaze and Sauce and come up with a recipe using it to share with all of you. I was really excited and honored for them to contact me to highlight their product. To be honest I have never really cooked with a sauce like this before. I have of course seen plenty of recipes that used this type of ingredient and was very happy to try it out. Although I know there are many tried and true delicious ways to use it that I have ordered in restaurants or seen on TV I was determined to think of something unique. Even after 8 years of living in Piemonte Italy, I am still surprised by exhilarating new food and wine experiences daily. At our friend's wedding this Saturday, we started talking to the father of the bride, a truffle hunter in the area. He got so excited telling us about his recent finds, that he left the ceremony to go home and bring us more than 1 kilo of fresh black summer truffles! La dolce vita!